Tales from a tribble: Hugh Hewitt: "I Cannot Believe This Is Happening In America"
Hugh Hewitt on the Hugh Hewitt show on Tuesday afternoon announced some breaking news from Fox News' Todd Starnes of an outrageous action happening in my city of Houston, initiated by our Mayor Annise Parker. This is the first that I had heard of this and it was confirmed to me by my wife when she came home from work, as she already was aware of the news and was outraged like Hugh. Hugh read the story from Fox News web site, "The city of Houston has issued subpoenas demanding that a group of pastors turn over any sermons dealing with homosexuality, gender identity, or criticism about Annise Parker." "Any failure to reply to the subpoenas could mean that the ministers will be held in contempt of court." It must be noted that Annise Parker is the city's first openly lesbian mayor. This is an unbelievable outrageous attack on freedom of speech and religion. I agree totally with Hugh who gave a strong necessary rant on this unconstitutional attack by our mayor as he rightly called her that "idiot" mayor. Hugh said "I cannot believe this is happening in America." I agree with Hugh, with one caveat. I would add, before the presidency of Barack Obama, I could not envision this ever happening in America. Thankfully there are great Americans like Hugh's good friend, Tony Perkins of the Family Research Council, and the Alliance For Freedom' lawyers who are in support of the pastors opposing this unconstitutional action by our mayor. I ask, as did Hugh Hewitt for everyone to go to their web site here, and donate money to help them defend our freedom in this case and against similar cases of attacks on religion and freedom of speech. To read the breaking story by Todd Starnes in Fox News please click: "City of Houston Demands Pastors Turn Over Sermons". Please listen to this great rant by Hugh on the outrageous action happening in our great, beautiful city of Houston from our Mayor Annise Parker. I obtained this audio from going to the Hughniverse and downloading the podcast. 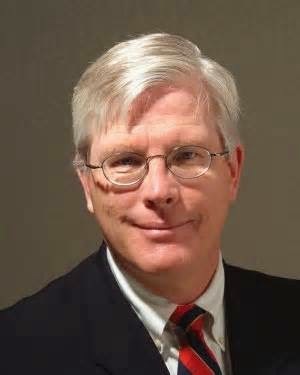 I would highly recommend all to join the Hughniverse to listen to any or all of Hugh Hewitt's broadcasts. This is happening around the world Persecution of Jews and Christians. We've been expecting such action in the church, Especially since the 2008 election. The PC crowd was then emboldened. The American Jew & a good part of the American Christians have fallen asleep. In The Church a Great Awakening needs to happen. And in Israel, they need to awake as well. All are surrounding her and determined to crush her. ( not going to happen without God intervening) and America seems to be folding from within. Saying nothing is to say something. We either stand up to this evil that's about to bring ALL our freedoms to a halt or just continue to bury our heads. After all, a Mayor of a huge city in a Texas is bold enough to restrict Freedom of religion? Or at least nudge and scare Pastors into denying the Bible ? Americans are becoming weak sauce. Workplace violence in Fort Hood? Really? Oklahoma City beheading? Good article Michael and we need America to wake up. Or the consequences will be overwhelming ugly. For all Americans, all race, gender, non gender whatever; our Constitutions hangs by a tiny sliver, regardless of a minority of dopes who are Politically Correct Blinded! Don't think that tolerance is a leftist value. Their nanny state is about as warm and fuzzy as a hungry rat guarding a piece of cheese. This is the sort of thing that politicians should actually be charged with and imprisoned for if found guilty of even attempting to violate constitutional rights. Thanks Krissy and all for your comments! God Bless. No Mosques. Only the Christian chuches that came out against her so-called "HOPE" bill. This, in the state where the Governor was accused of abuse of power. The real abusers are in intimidated. Wow, I forgot about that great point DB. Thanks!